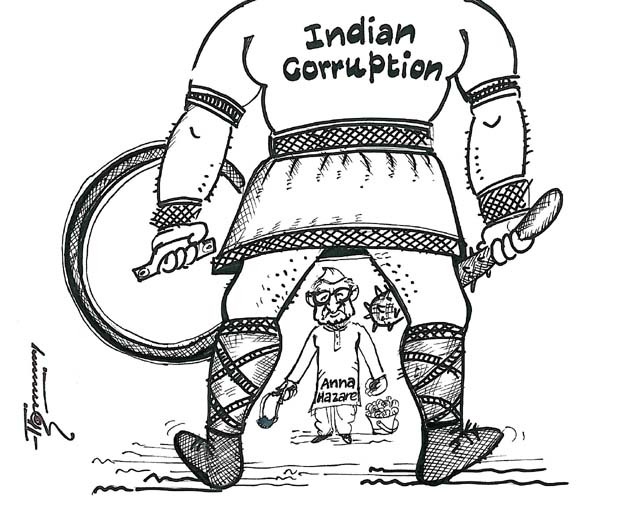 sir Thommy had shown a verry wrong image of mr anna hazare he is bigger than the corruption modem and anna hazare"s leg is on the coruption. I wish you could also show Anna's army behind him; a crowd of little people, each with a small pebble in his/her hand. Rare experience of democracy and people power in triumph.